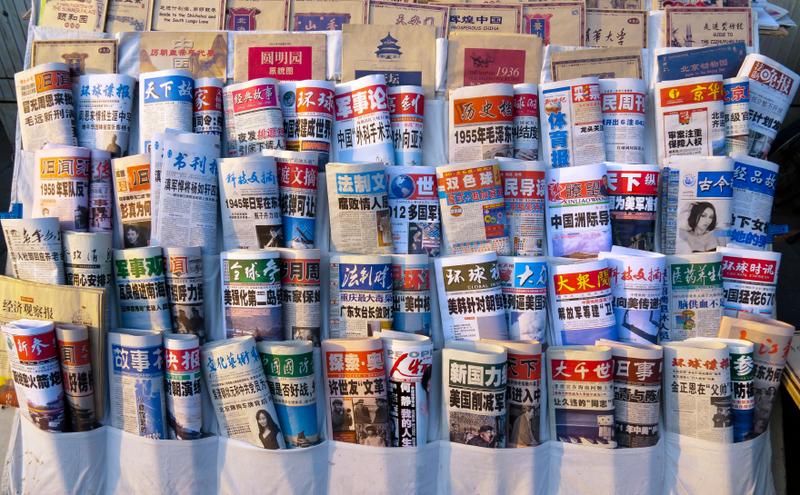 The World of China continues to absorb media attention. In Chinaglobalimpact.com, we try to put the current into a historical context, and suggest how it might be part of the future. Today brings news that a Chinese General, visiting the Pentagon has blamed the U.S.A. tilt to Asia for destabilising some regional nations’ attitudes to China and causing them to act against China. He said the seas are full of oil rigs, so why should one from us (near Vietnam) cause so much reaction. He is right that the combination of the growth of China makes some nations concerned about their own power, especially Japan, and they see the U.S.A. helping them to obtain their objectives. The U.S.A. is working with the EU to bring Ukraine into the Western orbit, and, in the process, a conflict with Russia has developed, which is making some European nations more assertive in their attitude towards Russia. There is a pattern that China can see, but are nations seeing the U.S.A. as having a strategy to contain China, when it is merely a tactic to force concessions out of China and, maybe, Russia? The economic plan of the U.S.A. to unite the EU and U.S.A. into one Free Trade Area, which would then combine with TPPA’s new 12 Asia Pacific members, suggests that the U.S.A. does have very deep plans to stay at the leadership of the World. The U.S.A. has the most powerful military in the world, and, by far, the most advanced. The idea that they are not going to be active outside their own borders is not credible. But it is another thing to conclude that the U.S.A. would intend to create a new Cold War. The world has moved into such a deep interdependence that it is almost impossible to re-create the global divisions that existed after the end of the Second World War. So my take is that nations like Japan will get hurt believing the U.S.A. is engaged in a strategy as opposed to tactics designed to manage change. A more optimistic signal suggests that the U.S.A. and China could find common ground in Asia around APEC. A few years back, China preferred to push ASEAN plus 1/2/3 against George Bush’s proposal to push APEC as the core for an Asia-Pacific Free Trade Area – that was possibly the catalyst for an American sense of China trying to take the lead in Asia. Today comes some reinforcing news that China is pushing, with others, for a Free Trade Area of the Asia Pacific. This would reinforce the impression that the U.S.A. and China are coming closer together as this could enable the U.S.A.’s original ideas to go forward. While the ASEAN/China Free Trade Area is still progressing well, it may be that we are seeing the move towards an APEC- based region, as well as an ASEAN one. The other big story is GSK and their admitted regime of paying off Chinese doctors. They now stand charged with very serious offences, which has sent shudders down some corporate executives spines. I do know something about all this. I opened the market in China for one of the global pharmaceutical companies in 1991/2 and identified then that this was a problem. The corruption had been imported through the overseas managers that the big pharmaceutical companies brought in to develop their markets in China. Medicines are dispensed in hospitals in China – they do not have doctors running family clinics prescribing medicines. It became clear that the prescribing of medicines was an opportunity to exploit the hospital doctors’ low salaries and so they found ways to incentivise the doctors to prescribe their drugs, which increased sales of the products and helped add to the doctors’ low pay, which enabled doctors’ heads to be turned. We have seen, presumably, the GSK method of doing this. It is an international problem because doctors everywhere decide which drug we get, and, therefore, the pharmaceutical companies focus their marketing on the doctors and those to whom they may respond. In some places, that combines with local conditions and local executives go into the terrain beyond the law. I am sure China’s leaders are shocked to find this out, and to find out how long it has gone on, and how many of their doctors have been seduced in this way. They must be shocked to find out that hospitals and others have turned a blind eye to this for a long, long time. But Chinese mid-level officials have closed their ears to friends, like us, who told them corruption had taken root and that we were suffering from refusing to take part in business where corruption was a significant feature. We said in 1992 – “the value of the chop enormously exceeds the salary of the chop-holder and that creates conditions for corruption in the absence of transparency, clear rules, rule of law and good accountability.” Xi Jinping is serious about tackling corruption, and whilst that sends some near term shivers through corporate executives in China, the reality is this will enable a clearer and proper market economy to develop inside China. This is good for business. Corruption, in some sectors, became a “custom of the trade” and China is rightly now dealing with it. China has two aims – to lower the cost of healthcare so they can control costs as they roll out across the country a new form of healthcare. They see the government’s role as holding down margins and costs, and here is a significant, and corrupt, easy target. The reason for this is that they assess Western Welfare State as far too expensive and they have set about to create one that is appropriate and places the responsibility where it should be – mainly with commerce, but on prices, more at the door of government. The second aim is about a message. They are right to come down hard and all pharmaceutical companies will be checking their ways of doing business. I know the people who authorised this twenty-plus years ago, and they must be shaking with concern at what they thought was a simple decision to do as the others did. Many companies in different areas in China who may have followed the trend, or been the ones who started the corrupt practices, will be checking their systems and practices and ensuring they are clean from here on, and trying to cover their tracks. But the Chinese will move on once the message is clear. FOLLOW THE CHINESE LAWS AND REGULATIONS AND DO NOT ENGAGE WITH CORRUPT PRACTICES OR FACE THE CONSEQUENCES. GSK will have an uneasy time, may have to pay back a lot of money, and pay a big fine, and engage in proper compensation and apologise to China in a way still to be defined. But what lessons are there From the GSK and RTZ experiences? The most significant is that knowing and understanding China is paramount in developing policies, strategies, deals and operations in, and with, China. Too often big corporates, and nations, are guided by wishful thinkers who have little comprehension of the reality of the origin and future trajectory of China, or their sector. I know very few people who really get China, and very few run big companies. Do you really know what Socialism with Chinese characteristics means? China is for the serious and great rewards are there. But know China. Not the one the media write about, but the one Chinese leaders talk about.